It’s September and the air is cooler, days are a bit shorter and the cars are coming out! 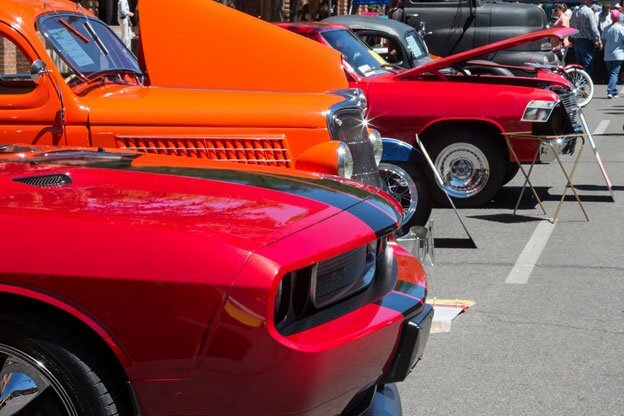 Check out these area car shows coming to our area this month. Event details are yet to be announced. DETAILS: Registration is $10 with half of the fee going to benefit Hospice of Northwest Ohio. DETAILS: Door prizes will be awarded. Other activities include a 50/50 drawing, chicken BBQ (until sold out) and music with Cruisin Zeake. DETAILS: Plaques will be awarded in 15 classes. Staff from Back To The Wild will have live critters on display, including bald eagles, hawks, owls, flying squirrels and other native wildlife. There will be free tram tours through the marshes, drawings for great door prizes and music with Cruisin Zeake. Food and drink will be available for purchase and Puddles, the Blue Goose mascot, will be on hand. DETAILS: The event includes kids’ games, a petting zoo, pony rides, demonstrations, vendors, food trucks, a 50/50, hourly door prizes and music with Cruisin Zeake. We hope to see you at one of these events! If you need quality collision repairs, call us at 419.841.2525 or stop by the shop Monday through Friday between 8 AM to 5 PM, 7939 W Central Avenue, Toledo, OH 43617.